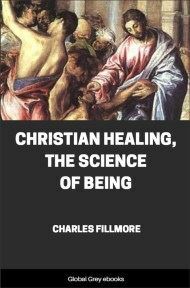 Charles Fillmore illustrates the universal teachings of Jesus in a way that brings deeper understanding of the spiritual nature of humanity and our oneness with God. 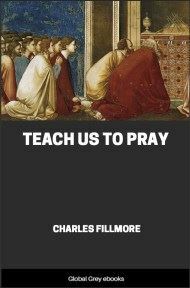 This book calls each person to fully express the Divine and create an extraordinary life. 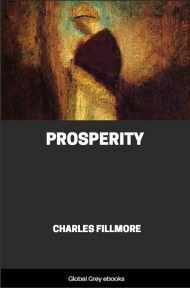 IN PURE METAPHYSICS there is but one word, the Word of God. This is the original creative Word or thought of Being. It is the "God said" of Genesis. The Greek original refers to it in the 1st chapter of John as the logos. The Greek word cannot be adequately translated into English. In the original it denotes wisdom, judgment, power, and in fact all the inherent potentialities of Being. This divine Logos was and always is in God; in fact it is God as creative power. Divine Mind creates under law; that is, spiritual law. Man may get a comprehension of the creative process of Being by analyzing the action of his own mind. First is mind, then the idea in mind of what the act is to be, then the act itself. Thus the Word and the divine process of creating are identical. Apart from mind nothing can be made. Even man, in his forming and bringing anything into manifestation, uses the same creative process that God used; to the degree that the qualities of the one Mind enter into man's thought in the process his work will be enduring. The divine idea--the Christ or Word of God--is always everywhere present. 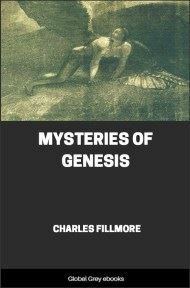 Among the four Gospels that of John is readily discerned by metaphysicians as a symbolical life of Jesus and should appear first in the New Testament, corresponding to the first chapters of Genesis. Quite a few Bible critics so consider it, among them Ferrar Fenton, who gives it first place in his "Complete Bible in Modern English." 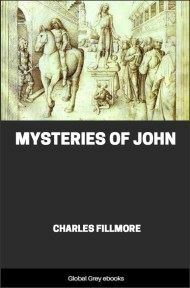 John explains that all existence is spiritual, that it comes to man as a gift, and that Christ is its fulfillment. "In the beginning was the Word, and the Word was with God, and the Word was God." "The Word" is the English translation of the Greek logos, which means a thought or concept and also the word that is an expression or utterance of the same. It also involves the logical relation between idea and expression; hence our word logic, which also derives from logos. Our attention is called to the 1st chapter of Genesis: "And the Spirit of God moved upon the face of the waters. And God said, Let there be light: and there was light." Here in detail, day by day, or period by period, creation is ideated. The parallel between Genesis and John is shown by the manifestation of the ideal man. In Genesis Adam appears first. In John it is John the Baptist, who is said to "bear witness" to the coming man, Jesus. In Genesis man was given dominion over all things; in John "all things were made through him." John the Baptist represents the natural man, the physical man, who is the nucleus around which the spiritual man builds. Man may be compared to a house, the foundation being rock, the superstructure lighter material. The rock upon which Jesus built was not material: it was mental; its symbol, Peter, was a mind receptive to spiritual Truth and spiritual substance. The first Adam was formed of the "dust of the ground," representing radiant substance instead of gross earth. So John the Baptist was more than the perfect physical man. He was the illumined natural man. 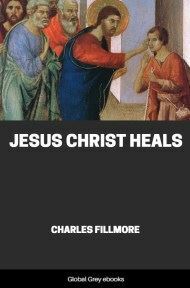 He preached and baptized his disciples and with spiritual vision saw the unfoldment of the natural man into the Christ man. Spiritual man is the true light "which lighteth every man, coming into the world." The world was made by him and yet "knew him not." There is a creative force constantly at work in man and all creation, but it is not recognized. It is Spirit-mind shining consciously in the minds and hearts of those who recognize it. Those who ignore this light do not "apprehend" it, and to them it is nonexistent. "But as many as received him, to them gave he the right to become children of God, even to them that believe on his name." the light, but came that he might bear witness of the light. Man in his darkened, ignorant state dwells in a realm of material thoughts and perceives nothing higher until he arrives at the point in his unfoldment where he is ready to receive understanding of the Christ Truth. Then he enters into the John the Baptist or intellectual perception of Truth. 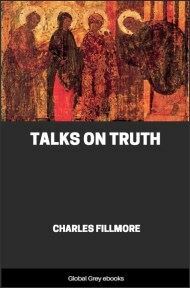 The intellectual perception of Truth by the natural man (John the Baptist) is not the true light (the Christ) but bears witness to the light and prepares the way for its dawning in consciousness.